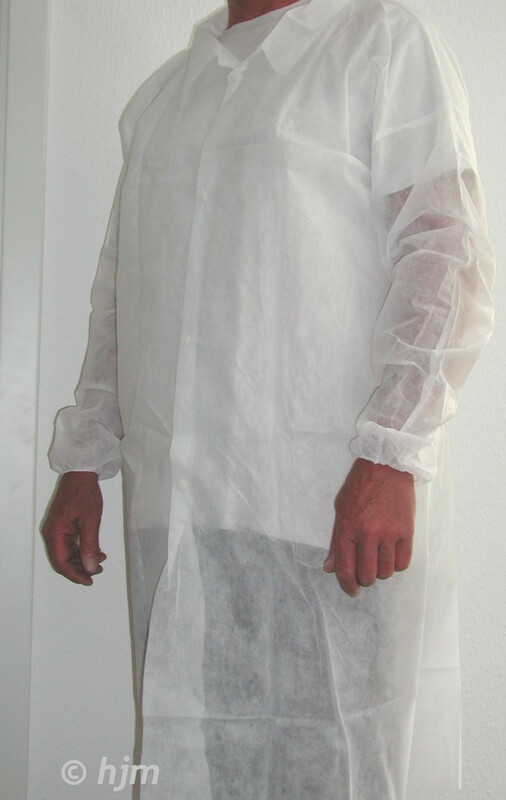 These cleanroom garments are made of 100% leight weight, breathable spunbonded Polypropylene. The garments are suitable for simple nursing and hygienic area. EK310049L Coat: Snap buttons, low revers collar, elastic bands on arms L 50 pcs. EK310051XXL Coat: Snap buttons, low revers collar, elastic bands on arms XXL 50 pcs. EO310066XXL Overall with hood: Zip fastener, elastic bands on arms and legs XXL 50 pcs.